It is widely accepted that players numbers and level of competition are the two main contributing factors in onfield success. AFL Canada see improving national performanance not only as a matter of pride but also an aid in promotion and recruitment. Prior to the 2017 International Cup. AFL Canada instituted inter-provisional games in lieu of the 49th Parallel Cup in an attempt to gain as much representative experience as possible in choosing the best international squad to visit Melbourne . AFL Canada has decided to continue this event by creating a second (and hopefully annual) national championship which will pit province against province on Colonel Samuel Smith Oval in Etobicoke from June 30 to July 1. The tournament has included a second men's division to cater for sustained growth in smaller provinces having a smaller pool of players. 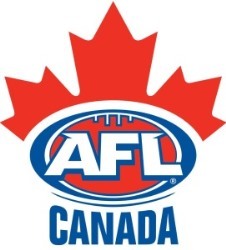 AFL Canada expects to have British Columbia, Alberta, Ontario and Quebec on the women's side, and on the men's side those four provinces plus Manitoba and Nova Scotia. Division will remain 18-a-side between the four largest provinces, with Nova Scotia, Manitoba and two more yet-to-be-determined teams rounding out the draw in a 10-a-side division played on a smaller field. Toronto was chosen to even out the travel advantage held in 2016 by the western provinces in the first championships in . Burnaby B.C. Also Toronto has a srong established league with permanent ovals and is more accessable to Quebec and the eastern leagues.